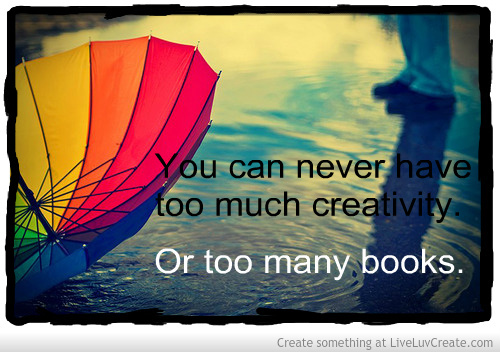 It is a well-known fact that you can never have too much creativity or too many books. So I have gathered together the best of the best – an epic list of 27 books to provoke and inspire creativity for writers, artists and business people. Discovering SARK’s books, some ten years ago, was a revelation to me. They are gorgeous productions, full of felt-tip penned wisdom in glorious technicolour. Make Your Creative Dreams Real is packed full of inspiration for “Procrastinators, Perfectionists, Busy People, and People Who Would Really Rather Sleep All Day”. Special mention goes to another of her books, The Bodacious Book of Succulence. It is a wonderful book, with possibly the most delicious title in history. Think of Wreck This Journal as the anarchist’s Artist’s Way — the book for those who’ve always wanted to draw outside the lines but were afraid to do it. For anyone who’s ever wished to, but had trouble starting, keeping, or finishing a journal or sketchbook comes Wreck This Journal, an illustrated book featuring a subversive collection of suggestions, asking readers to muster up their best mistake – and mess-making abilities to fill the pages of the book (and destroy them). Through a series of creatively and quirkily illustrated prompts, acclaimed artist Keri Smith encourages journalers to engage in “destructive” acts – poking holes through pages, adding photos and defacing them, painting with coffee, colouring outside the lines, and more – in order to experience the true creative process. With Keri Smith’s unique sensibility, readers are introduced to a new way of art and journal making, discovering novel ways to escape the fear of the blank page and fully engage in the creative process. A Humument is one of the most incredible books in existence. At some point in the 60s, Tom Phillips got hold of a book – A Human Document by W. H. Mallocks – and started turning the pages into art. He incorporates the text on the page, and this project has taken over the majority of his life. Constantly reworked and updated, A Humument is the very definition of creativity. An inspiring collection of ideas and activities to increase creativity and joy. There are suggestions of objects to create and make, ways to explore and experiment with everyday tasks and all manner of things to play, build, paint and cook. Readers will be inspired to roll up their sleeves and get out the glitter and re-discover happiness in nostalgic crafts. This book, based around an empowering poem, blew my mind when I first read it. Amazon tells me I bought it in September 2003, and it still inspires me today. Anthony Trollope wrote three thousand words every morning before heading off to his job at the Post Office. Toulouse-Lautrec did his best work at night, sometimes even setting up his easel in brothels, and George Gershwin composed at the piano in pyjamas and a bathrobe. Freud worked sixteen hours a day, but Gertrude Stein could never write for more than thirty minutes, and F. Scott Fitzgerald wrote in gin-fuelled bursts – he believed alcohol was essential to his creative process. From Marx to Murakami and Beethoven to Bacon, Daily Rituals examines the working routines of more than a hundred and sixty of the greatest philosophers, writers, composers and artists ever to have lived. Filled with fascinating insights on the mechanics of genius and entertaining stories of the personalities behind it, Daily Rituals is irresistibly addictive, and utterly inspiring. All manner of creative writers will find inspiration in this collection of intriguing and inspirational writing prompts. With unique prompts (from ‘fix the plot of the worst movie you’ve ever seen’ to ‘write a love letter to a person you dislike’) and plenty of space to write, this journal is sure to get the creative juices flowing. 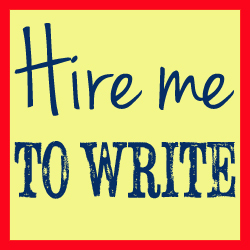 All writers are faced at some point with feelings of self-consciousness and self-doubt about their work. In this invaluable guide, Laraine Herring offers advice to writers who want to become more comfortable with their writing, face their inhibitions, and gain the confidence to release their true voice. Utilizing the breath, a vigorous movement practice designed to break up stagnation with the body and the mind, and writing exercises aimed both at self-exploration and developing works-in-progress, Herring offers a clear path to writing through illusion. Learn how to remove obstacles in your writing and develop techniques to help you relax into your own voice; discover ways to enter into a compassionate, non-judgmental relationship with yourself so that you can write safely and authentically from a place of absolute vulnerability; and discover the interconnectedness of your personal writing process and the community as a whole. The Writing Warrior will not only help you find ways to develop your writing, but also ways to develop yourself. Certainly quite an investment nowadays, but apparently well worth a read. It isn’t always easy to carve out time to devote meaningful thought and energy to your writing. Hectic schedules, distractions, and creative blocks all too often interrupt the dream – postpone it for another day. But with 366 provocative entries – each addressing a specific facet of the writing craft, and accompanied by an in-depth reflection and a stimulating exercise – The Daily Writer provides you with easy entry points into that elusive space where words matter most and helps you to embrace writing as a way of seeing the world. Whether you’re looking for a way to better integrate writing into your life, get warmed up before you dive into a bigger work in progress, or overcome an old case of writer’s block, The Daily Writer can help you establish and maintain an inspired devotion to the craft. A little more than half way through the book Welling introduces a few “Try This,” exercises. These allow writers a chance to see things from another, unexpected perspective. Refreshing and interesting, these challenges can be inspiring. My personal feeling about Writing Wild is that Welling’s ideas bring an openness and peace to the writing process. If I follow her lead, writing will become enjoyable and natural. Her ideas and suggestions are unusual and interesting, appealing and motivating. I’ve just finished reading this book and it has inspired me to be more open about what I’m working on, and how. It will be interesting to see how this impacts on my ongoing creativity. This book takes everything you think you know and twists it around. It is a fascinating read that got me through the first days after a wisdom tooth extraction. While other scientists beaver away on obvious problems, Richard Wiseman has been busy uncovering the secret ingredients of charisma, exploring how our personalities are shaped by when we are born and examining why people usually miss the obvious signs of their partner’s infidelity. Using scientific methods to investigate offbeat topics that interest the general public as well as the scientific community, Quirkology brings a new understanding to the backwaters of the human mind and takes us to places where mainstream scientists fear to tread. Comparable to Freakonomics, but British, far more populist, and a lot funnier. No explanation needed, surely. Just wonderful. Switch your brain’s mode and do some body-positive colouring in! There’s a whole universe of body types out there, and they all deserve to be represented. This coloring book features eighteen fat scifi heroines doing what they do best: trekking across the time and space, blasting off into adventure, and saving the day. Who among us doesn’t love to doodle—or, at the very least, doodle to pass the time during long meetings or classes? Now you can learn the fine art of doodling while exercising your creativity at the same time. Creative Doodling features a fun variety of projects, prompts, exercises, and ideas to get your doodling juices flowing. Artists will begin with some warm-up exercises and basic instructions and work up to more advanced doodling projects, starting with a gift tag and ending with elaborate projects on wood and fabric. Sprinkled between projects are fun prompts and exercises designed to spark creativity, as well as beautifully designed practice pages to hone drawing and doodling skills. From cover to cover, this whimsical book is packed to the brim with ideas, while an elastic band keeps the book securly closed when not in use. With fun lists, exciting ideas, and creativity-starters, each note included with The Happy Book Sticky Notes is unique and special, just like the person using them. Encouraging creative doodling, scribbling, and dreaming, these sticky notes are the newest way to answer daily, what makes you happy? The notes include prompts such as… What words make you laugh? Write them here, and keep this note handy as a lighthearted reminder. Spontaneous Happiness Generator: Have a friend write down what makes them happy here. Is there anything you share? Your Happy Timeline: Plot out your happiest moments on this timeline. Your first puppy? A fun date? Mark them here. Everyone needs a little help from time to time. With the aid of Self-Therapy, now you can finally help yourself! Whether you feel depressed, anxious, or even perfectly well-adjusted, this step-by-step pad will guide you toward a breakthrough—or at least determine who or what to blame. 6 x 9 inches; 60 sheets. Twenty of America’s bestselling authors share tricks, tips and secrets of the successful writing life. Anyone who’s ever sat down to write a novel or even a story knows how exhilarating and heart breaking writing can be. So what makes writers stick with it? In Why We Write, twenty well-known authors candidly share what keeps them going and what they love most and least about their vocation. Includes answers from authors such as Jennifer Egan, Jodi Picoult, David Baldacci, Ann Patchett, Sue Grafton and James Frey. Every great writer has a unique way of setting a story to paper. And, it turns out, many of these writers used methods that were just as inventive as the works they produced. Odd Type Writers explores the quirky writing habits of renowned authors, including Truman Capote, Ernest Hemingway, and Alexandre Dumas, among many others. * To meet his deadline for The Hunchback of Notre Dame, Victor Hugo placed himself under strict house arrest, locking up all of his clothes and wearing nothing but a large gray shawl until he finished the book. * Virginia Woolf used purple ink for love letters, diary entries, and to pen her acclaimed novel Mrs. Dalloway. Also, in her twenties, she preferred to write while standing up. * Friedrich Schiller kept a drawer full of rotten apples in his study. According to his wife, he couldn’t work without that pungent odor wafting into his nose. * Eudora Welty evaluated her work with scissors handy. If anything needed to be moved, she cut it right out of the page. Then she’d use pins to put the section in its new place. In Odd Type Writers, you’ll find out why James Joyce wrote in crayon, what Edgar Allan Poe’s cat was doing on his shoulder, why Vladimir Nabokov had to keep his feet wet, and the other peculiar tools and eccentric methods used to compose some of the greatest works of all time. This classic on creativity by Dr. Clarissa Pinkola Estes guides you through the dark labryinths of the psyche in search of la chispa – the ember that is the elemental source of all creative work. Whether in painting, poetry, performance, music, dance, or life, there is an intelligence working in every situation. This force is the primary carrier of creation. If we trust it and follow its natural movement, it will astound us with its ability to find a way through problems—and even make creative use of our mistakes and failures. There is a magic to this process that cannot be controlled by the ego. Somehow it always finds the way to the place where you need to be, and a destination you never could have known in advance. When everything seems as if it is hopeless and going nowhere . . . trust the process. This work aims to take the mystery and anxiety out of the idea-generating process. It presents step-by-step guidelines to help anyone generate ideas, arguing that the reader must first condition their mind to become “idea prone”. What makes someone creative? How does someone face the empty page, the empty stage and making something where nothing existed before? Not just a dilemma for the artist, it is something everyone faces everyday. What will I cook that isn’t boring? How can I make that memo persuasive? What sales pitch will increase the order, get me the job, lock in that bonus? These too, are creative acts, and they all share a common need: proper preparation. For Twyla Tharp, creativity is no mystery; it’s the product of hard work and preparation, of knowing one’s aims and one’s subject, of learning from approaches taken in the past. It’s a process undertaken every day. It’s a habit. The Creative Habit is not merely a look inside the mind of a remarkable woman with remarkable skills, but a programmatic, inspiring, encouraging guide to help each of us achieve our fullest creative potential. A fearless guide to awakening your mind using simple visual language. What do Einstein, Edison, Richard Feynman, Henry Ford, and JFK have in common? Like virtually all heavy-hitting thinkers, they looked beyond just words and numbers to get intellectual and creative insights. They actively applied a deceptively simple tool to think both smarter and faster: the doodle. And so can the rest of us-zero artistic talent required. Visual thinking expert Sunni Brown has created The Doodle Revolution as a kick-starter guide for igniting and applying simple visual language to any challenge. The instinctive and universal act of doodling need only be unleashed in order to innovate, solve problems, and elevate cognitive performance instantly. Science has proven that optimism is actually good for your heart, and this amusing writer’s journal affirms the notion that it’s also good for your brain. With playful prompts and witty quotations, It’s Gonna Be Okay is smart yet comforting like a pair of horn-rimmed rose-colored glasses. At Knock Knock our sensibility is proudly distinct, in contrast to the overwhelming homogenization that characterize committee-created corporate product. We believe that many people are intelligent enough to appreciate wit, wordplay, and conceptual thinking, so we strive not to dumb down. Knock Knock seeks to integrate art and commerce by creating original, authentic, non-cynical products that support themselves in the marketplace. Our inspirations are Charles and Ray Eames and Tibor Kalman, designers who refused compartmentalization and brought intelligence, aesthetics, and creativity to everything they touched. Also, we read a lot. Following are a few more things we believe: Ethics and decency are immeasurably important. Whether mass produced or handmade, products should be created with care. Things should be both beautiful and useful, but they can also be beautiful and frivolous. Craft is important for the soul as well as the hands and eyes. Art is not necessarily superior to craft. Humor makes everything better. Not everything should strive to be accessible to the lowest common denominator, or any common denominator, for that matter. Empty feel-good affirmations are an instant gratification of diminishing returns, slyly interpreted truths last longer. Despite the rise of the screen, much that is interesting and innovative can be done with printed matter, though paper should be recycled whenever possible. Good should be rewarded. Problems should be discussed and resolved. Mistakes should be admitted and learned from. Common sense is uncommon. Ego is annoying. Turn signals should be used.